Some stories are beyond belief. 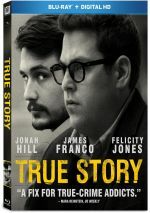 Best-known for their raucous comedies, Jonah Hill and James Franco team up for something more serious via 2015�s True Story. Journalist Mike Finkel (Hill) enjoys praise for an article he writes about modern slavery in Africa. However, it becomes known that Finkel�s story featured �embellishments� that made it less than factual, so he loses his job at the New York Times. Disgraced and out of work, Finkel learns that alleged murderer Christian Longo (Franco) has been using Finkel�s identity. This odd choice brings the pair together and Finkel decides to write up Longo�s story. Finkel gets close to Longo and debates whether or not he believes his new partner committed the crimes. Based on factual characters and events, Story starts out pretty well and creates hope that it�ll succeed. I like this genre and the narrative comes with enough intrigue to make the movie compelling on the surface. Story manages to live up to its potential fairly well through its first act. 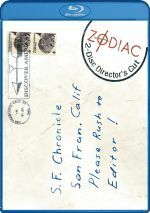 We get a good introduction to Finkel�s troubles and Longo�s issues to lead us into the movie�s world in a satisfying manner. After that, however, Story starts to fizzle, partly due to the actors. While I think Hill and Franco offer adequate work, they don�t seem to inhabit the characters in a vivid way. In particular, Franco fails to find much to portray beneath the surface; he gives Longo the superficial qualities we expect of a potential psychopath without real depth. Hill lacks much personality as Longo. Perhaps unaccustomed to his place as a dramatic movie�s lead, Hill feels adrift in the role and doesn�t appear to know how to approach the character. This leaves something of a hole at the heart of Story since Hill remains distant and disconnected from his part. Story gets stuck with a surprisingly limp climax. Normally I like courtroom scenes, but the ones we see here feel stiff and dull. Some interesting information emerges, but it does so in a way that lacks much sizzle, so the end result becomes lackluster. Despite these flaws, True Story still manages to keep us moderately involved, largely due to the strengths of the root tale. It can�t live up to the promise of that narrative, though, so it winds up as a somewhat slow, draggy drama. True Story appears in an aspect ratio of approximately 1.85:1 on this Blu-ray Disc. For the most part, the image looked positive. Sharpness usually seemed fine. Some wide shots displayed mild softness, but those instances remained minor. The majority of the flick offered pretty good clarity. No issues with jaggies or moir� effects occurred, and I witnessed no edge haloes. Print flaws failed to mar the presentation. In terms of colors, Story went with a teal/orange feel. In particular, blues dominated and made this a stylized affair. The hues worked fine within those limitations. Blacks seemed deep enough, and shadows showed good smoothness. This became a solid �B+� presentation. I didn�t anticipate a slambang DTS-HD MA 5.1 soundtrack from True Story, and the audio followed expectations. For the most part, the soundscape didn�t have much to do, as it tended toward general ambience. The scenes used the side and back speakers in a mildly engaging manner, and the track provided solid music from all the channels. These components didn�t bring a whole lot to the package, so this remained a laid-back mix. Audio quality was satisfactory. Music sounded peppy and full, while effects were reasonably accurate and concise. Speech sounded natural and easily intelligible. Though nothing here impressed, the track was appropriate for the material. Story comes with a decent array of extras, and we launch with an audio commentary from co-writer/director Rupert Goold. He offers a running, screen-specific take on the source tale and its adaptation to the screen, cast and performances, sets and locations, visual design, and connected areas. Goold gives us a consistently good commentary. He covers all the appropriate topics in a lively manner that touches on a nice array of details. Goold�s remarks keep us interested and involved. Five Deleted Scenes run a total of 16 minutes, 44 seconds. We get �Mike & Jill Take a Walk, Phone Call from Longo� (4:45), �Jill Comes Across a Dying Deer� (1:38), �Jill Makes a Fire� (1:19), �Mike Meets the Longo Family� (1:05) and �Alternate Ending� (7:57). As you can tell from the titles, the Jill character gets a fair amount of additional exposure here. Those scenes add to the role but I don�t think they�d have fit the final film well. �Meets� offers superficial merit but doesn�t deliver much of actual interest. The �Alternate Ending� depicts Mike�s obsession and its impact on him. It gives us a change from the final film�s conclusion but not one that creates a substantially different impression. We can watch the scenes with or without commentary from Goold. He tells us basics about the sequences as well as why he cut them. Goold offers nice thoughts about the segments. Four Promotional Featurettes follow. We get �Mike Finkel (3:33), �Who Is Christian Longo?� (3:56), �The Truth Behind True Story� (4:03) and �The Making of True Story� (5:26). Across these, we hear from Goold, author Michael Finkel, and actors Jonah Hill, James Franco and Felicity Jones. In addition to the film�s trailer, we find a gallery. It presents 24 shots from the movie and the set. It becomes a mediocre collection. The disc opens with ads for Me and Earl and the Dying Girl, Far From the Madding Crowd and Cake. Sneak Peek adds promos for Before I Go to Sleep and �Best of TV�. As a crime tale, True Story offers glimmers of life but ends up as a disappointment. The movie tends to drag and lacks strong lead performances. The Blu-ray brings us very good picture along with adequate audio and a reasonable roster of bonus materials. While the film occasionally succeeds, too much of it sputters.